From this web page we welcome you and extend an invitation to participate on the CVCEPHOTO, an international photo contest, organized by passionate mountaineers for fellow passionate mountaineers, with photography as the common link. 1. 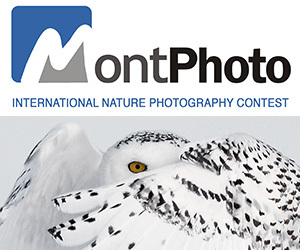 PARTICIPANTS: The contest is open to all amateur or professional photographers around the world. Participation is free. 3. WORKS: Each participant may submit a maximum of 3 photographs. Only pictures taken by digital cameras are accepted. RAW digital format of the submitted images must be available. Participants must warrant that the submitted photographs are an original work created solely by the entrant, and that he or she owns the copyright of the work that is being presented. CVCEPHOTO takes as granted that the participant has the authorization and/or the permission of the persons that appear in the photographs submitted to the contest. It’s the sole responsibility of the participant regarding any claim related to copyright. Digitally modifying or manipulating the images submitted is not allowed. Only minor changes are allowed to the picture as a whole, provided they affect only: contrast, color correction, luminosity, white balance, tone, shade or focus. Also allowed: B/W conversion, cleaning of particles and distortion or vignetting correction. Panoramic images and moderately trimmed images are accepted as long as the original composition is respected. CVCEPHOTO will request the RAW format file of the images that reach the final phase. But also in order to resolve any ongoing doubt or issue, the sponsor reserves the right to request the RAW format file of the image at any moment during the contest. 4. PHOTO: Works must be submitted in JPEG format, and must be at least 1,600 pixels wide (if a horizontal image) or 1,200 pixels wide (if a vertical image), converted to color space sRGB with the profile being embedded in the file. All digital images must be 2 megabytes or smaller. Works must not include frames or footers. Works must be submitted exclusively through the ENTRY FORM. REQUEST: From 20th April 2015.
shown on 20th June 2015 before the awards ceremony. 6. PRIZES: 1st Prize: 1,400 Euros + Exclusive and unique trophy created by Iñigo Arístegui, artist. CVCEPHOTO will contact you by email: [email protected] Please make sure you include it in your email list in order to avoid communications being blocked by anti-spam or security systems. 7. THE JURY: The members of the jury will be photographers with recognized prestige in mountain photography and/or persons related to mountains. The jury will evaluate the works according to: composition, technique, shot opportunity and originality. The decision of the judges is final and binding. Complaints won’t be accepted. RULES: By entering this contest, the participant agrees to all the contest rules and the final and binding decision of the jury. CVCEPHOTO will determine any issuenot listed in the previous paragraphs. PRIZE DETAILS: 1st Prize: 1,400 Euros + Exclusive and unique trophy created by Iñigo Arístegui,artist. 2nd Prize: 600 Euros 3rd Prize: 300 Euros 17 Honourable mentions: DIPLOMAS. ELIGIBILITY: Worldwide Not eligible to enter? - Find contest where you are. COPYRIGHT: All personal data being communicated to CVCEPHOTO will be kept confidential and in accordance with organic-law 15/1999 of "Protección de Datos de Carácter Personal". Participants must warrant that the submitted photographs are an original work created solely by the entrant, and that he or she owns the copyright of the work that is being presented. 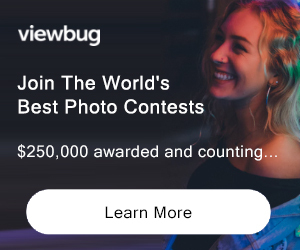 CVCEPHOTO takes as granted that the participant has the authorization and/or the permission of the persons that appear in the photographs submitted to the contest. It's the sole responsibility of the participant regarding any claim related to copyright. The intellectual property and copyright of theworks will remain with the author. USAGE RIGHTS: The participants authorize CVCEPHOTO the rights to the reproduction of the submitted works for expositions, catalog printings, web publishing and any other media outlet that the CVCE consider to be of interest. The CVCE will always communicate the author’s name. This authorization is without any limitation regarding time or place. In all cases, the intellectual property and copyright of the works will remain with the author.